Most businesses no matter what size want more calls, which in turn, bring in more clients, customers and revenues. The focus of any marketing strategy and campaign is that end goal. Doesn’t matter if it’s SEO, FB Advertising, Google Ads, Youtube or other srategies. 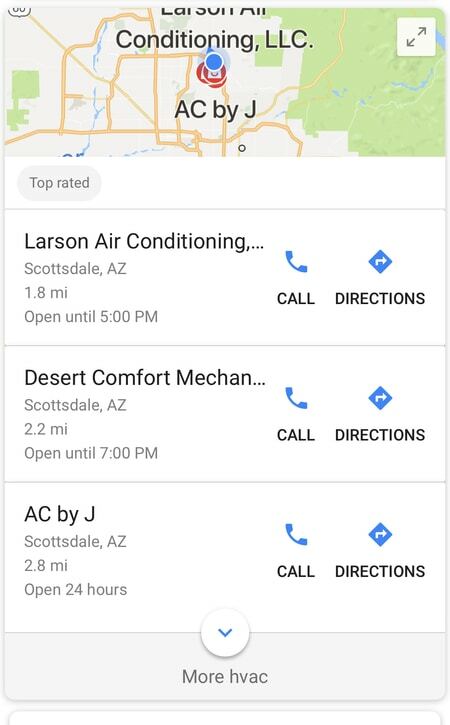 Because more than 70% of local searches is done on a mobile device, it is crucial you have a high position in the maps section of google. When someone does a mobile search, they will see the ads first, then the very prominent box called Maps. Google has put a huge emphasis on this offering, so being in the top 3 spots will bring more calls to your business nearly overnight. People are busy. When they do a mobile search they are impatient. They want to get a result for the search and click the call button. The maps section gives them just that! Here’s what the Maps section looks like on a mobile device. They have changed it recently on desktop, not showing the call button, nor the website button. Gotta love google and the games they play. Every business must be aware of the importance of local SEO. It is having your business found on the first page of google in the organic listings which is right below the Maps. 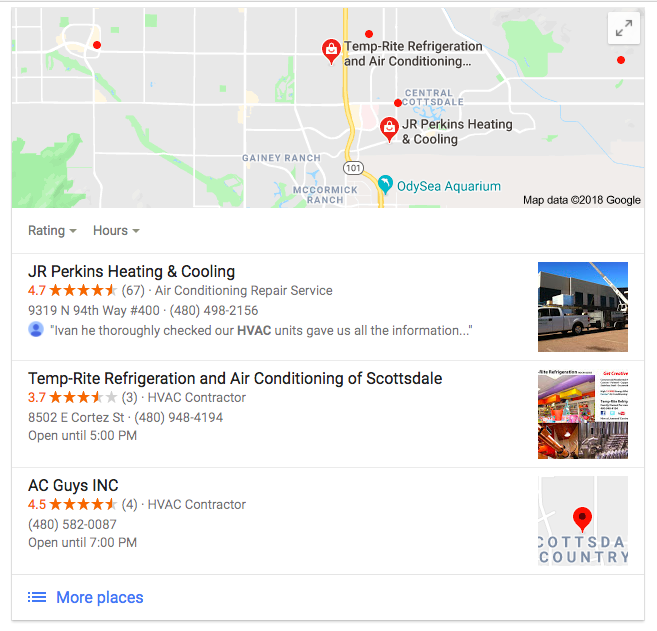 Even though it is further down the search results page, many people innately skip the ads, think the Maps is ads, and go right to organic. As a business owner if you don’t position your business to be near the top of the organic results your competitors are going to get all those calls and not you. There are over 200 SEO ranking factors to consider when wanting to rank your local business in the Maps or Organic section of google. There are variations between organic and maps and if you don’t get it right, your business will not be seen in those sections by your potential client or customer. It is critical you have a seasoned SEO professional you can trust look at how your website is structured. If it has not been set up by a professional SEO it may very well be hurting your rankings, therefore limiting your traffic and ultimately losing revenues. Every page should have a theme (keyword/service) you are optimizing for. Then that page have an optmized title, H1 tag, description, image and video optimization, along with NAP and map placement and then H2-H5 tags for additional keywords to ranking for under that main theme. Want To Increase Your Website Conversions? Contact me if you want my team to do an audit of your website, and come up with actionable changes that will increase your conversions (and revenue). It’s a reasonable investment of $497, if the website is bigger than 50 or more pages, it is $997.